Relax with our comprehensive 5 year, unlimited km passenger car warranty or 3 year / 100,000km commercial vehicle warranty. 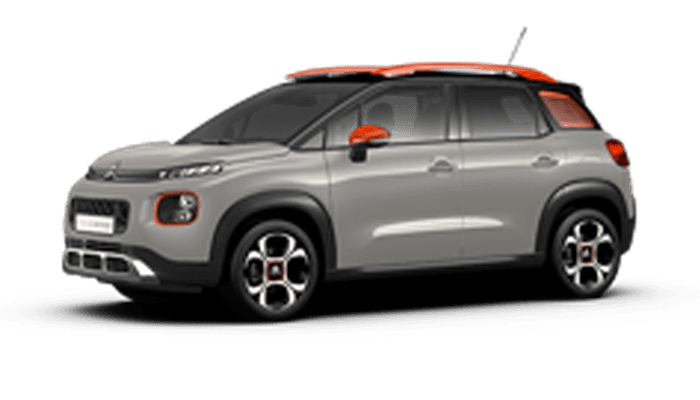 In addition to the confidence program CITROËN provides one of the most innovative new vehicle warranties in Australia, with 5 year / unlimited km on all new CITROËN passenger vehicle (from MY18). Every new CITROËN commercial vehicle comes with a 3 year / 100,000km (whichever comes first) factory warranty and roadside assist. With the added reassurance of a warranty, routine servicing and maintenance, as well as 3 year, 24-hour roadside assistance, you are protected. Our goods come with guarantees that cannot be excluded under Australian Consumer Law. You are entitled to a replacement or refund for a major failure and compensation for any other reasonable foreseeable loss or damage. You are also entitled to have the goods repaired or replaced if the goods fail to be of acceptable quality and the failure does not amount to a major failure. 1. Subject to any exclusions contained in the terms and conditions below Automobiles CITROËN and Inchcape European Automotive Pty Limited ABN 97 070 000 789 t/as CITROËN Automobiles Australia are pleased to provide you with a 60 month (5 year) /unlimited kilometre warranty on all new CITROËN passenger cars vehicles purchased in Australia from MY18. 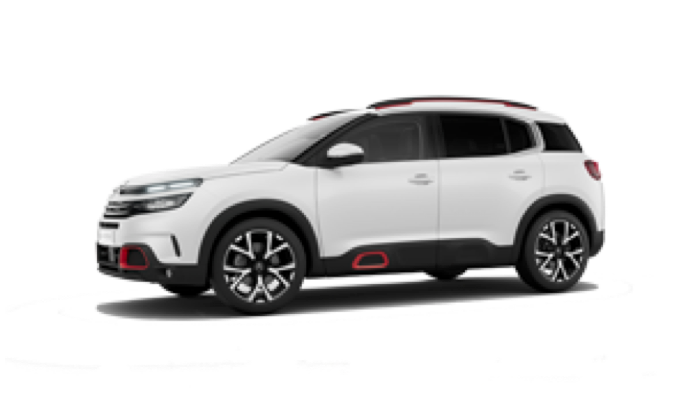 The first 3 years or 100,000 kilometres (whichever occurs first) of the warranty will be provided by Groupe PSA with the balance of the term by Inchcape European Automotive Pty Limited (ABN 97 070 000 789), trading as CITROËN Automobiles Australia. 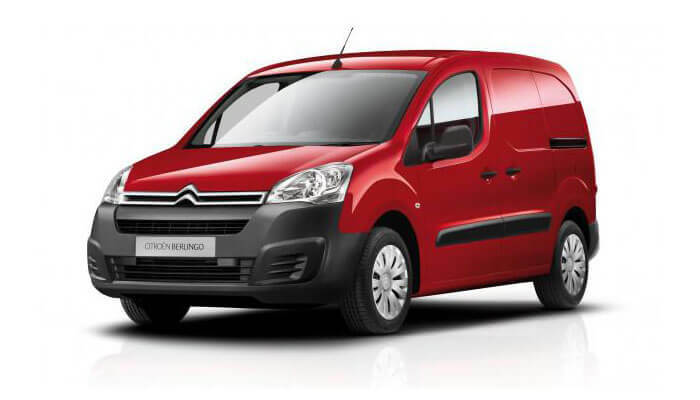 CITROËN commercial vehicles come with a 36 month (3 year) / 100,000km warranty (whichever occurs first). 3. A qualifying model is one which is not a commercial model such as the Berlingo and is not used for driver instruction, a carrier for reward including courier vehicle, hire or rental vehicle, or a police or emergency vehicle. 4. Should any part of the vehicle require repair or replacement as a result of a manufacturing or material defect within the manufacturer’s warranty period, the part will be repaired or replaced free of charge by your authorised dealer, regardless of any change of ownership during the period covered. Any part so repaired or replaced will benefit from these arrangements for the balance of the period applicable to the vehicle. Any repair to your vehicle may be carried out using new parts or standard exchange parts at the sole discretion of the manufacturer or authorised dealer. 5. The warranty start date is shown on the Owner and Vehicle Identification page of the warranty booklet. The warranty period is subject to the exclusions and the terms and conditions in this booklet. 6. Under normal circumstances, no responsibility will be accepted where the part has required repair or replacement as a direct result of wear and tear, misuse or neglect, accidents, fire, theft, racing or rallying, fitting of non-genuine parts and alterations to vehicle specifications without the manufacturer’s consent. 7. Please note that work carried out under the contractual warranty does not extend the warranty. In particular, the replacement of a part during work carried out within the warranty period does not extend the part’s warranty. The contractual warranty that covers the replaced part expires on the date of expiry of the vehicle’s warranty. Parts replaced under the contractual warranty become the property of the vehicle manufacturer. 8. The CITROËN Warranty is in addition to the rights and remedies that consumers may have under the Competition and Consumer Act 2010 and other applicable Commonwealth, State and Territory legislation. The warranty does not affect those guaranties, rights or remedies, except to the extent that their application may lawfully be excluded or limited. 9. All other warranties are hereby expressly negated and excluded. 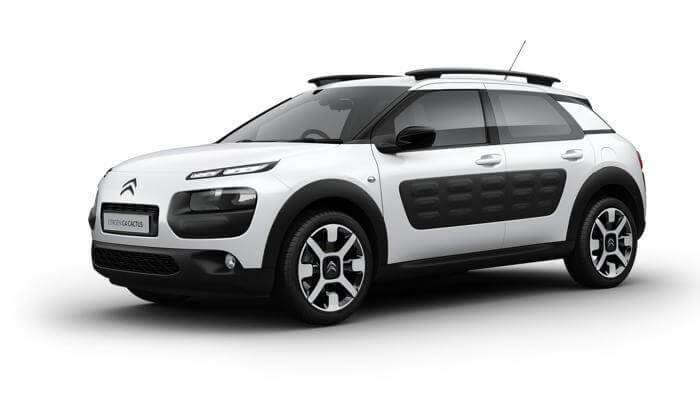 CITROËN vehicles are guaranteed by the manufacturer against perforation of the bodywork due to rust-through corrosion of the body panels from the inside of box sections that are not accessible from the exterior. This Anti-Corrosion Warranty is valid from the date of supply, delivery or registration (whichever occurs first) entered on the Warranty Certificate supplied with the vehicle, for a period of twelve years for passenger cars and five years for commercial vehicles. (a) The owner presents the vehicle to an authorised CITROËN Dealer for the specified anti-corrosion maintenance checks at the intervals outlined in the “Anti-Corrosion Check Record” section of the warranty booklet. Please refer to your authorised CITROËN Dealer for detailed Information regarding these checks. (b) The owner has reported any corrosion perforation to an authorised CITROËN Dealer within 30 days of it becoming visible. (c) Any necessary rectification work found by an authorised CITROËN Dealer during a regular maintenance inspection has been carried out strictly in accordance with the manufacturer’s recommendations within two months of the date of inspection. (d) Any body repairs to the vehicle have been carried out strictly in accordance with the manufacturer’s recommendations and any new parts or components fitted to the vehicle have been protected against corrosion in accordance with the manufacturer’s recommendations. 2. Repairs carried out under the Anti-Corrosion Warranty must be entrusted to an authorised CITROËN Dealer. (a) Damage which has occurred due to the negligence of the driver or as a result of a failure to maintain the bodywork strictly in accordance with the manufacturer’s recommendations. (b) Damage resulting from incidents not covered by the 36 month New Vehicle Warranty as outlined within the warranty booklet. (c) Consequences of the deterioration of corrosion protection products caused by additional treatment not specified by the manufacturer. (d) Corrosion perforation due to external influences including (but not limited to) stone chips, accident damage, atmospheric pollution, battery acid or lack of proper owner maintenance. (e) Corrosion resulting from the fitting of parts or accessories not approved by the manufacturer and/or fitted otherwise than in accordance with the manufacturer’s recommendations. (f) Consequences or repairs, conversions or modifications carried out by companies which are not approved by the manufacturer. (g) Conversions applied to basic vehicles nor any additional load-carrying body. (h) Damage/corrosion to road wheels, exhaust, chromed parts, hood frame and mechanical components not forming an integral part of the bodywork. 4. In the case of a change of ownership, subsequent owners will benefit from the remaining period of the Warranty (12 years for passenger cars and 5 years for commercial vehicles) from the date entered on the Warranty Certificate, provided that each previous owner has followed the above conditions of application. CITROËN vehicles are guaranteed by the manufacturer against any defect in the original paintwork for a period of three years from the date of supply, delivery or registration (whichever occurs first), as entered on the Warranty Certificate supplied with the vehicle. 1. The Paintwork Warranty covers the total or partial rework of the paintwork, which in the opinion of the manufacturer or their representatives, is defective according to the manufacturer’s standards. 2. The Paintwork Warranty applies subject to the express condition that your vehicle has always been maintained in accordance with the manufacturers schedule and that the repair of any damage has been carried out in strict compliance with the manufacturer’s standards. (a) Damage to the paintwork attributable to the environment, e.g, airborne deposits whether animal, vegetable or chemical, sand, salt, stone chips, scratches, damage by natural elements such as hailstorms, floods and other external factors (whether or not due to an accident). (b) Damage due to the negligence of the driver, as a result of a failure to maintain the bodywork strictly in accordance with the manufacturer’s recommendations as specified in this Vehicle Service and Information booklet, at the time or distance intervals specified, or if any damage to the vehicle has not been rectified promptly. (c) Damage resulting from repairs, conversions or modifications carried out by companies not approved by the manufacturer. (d) Damage resulting from incidents not covered by the new vehicle warranty. 4. 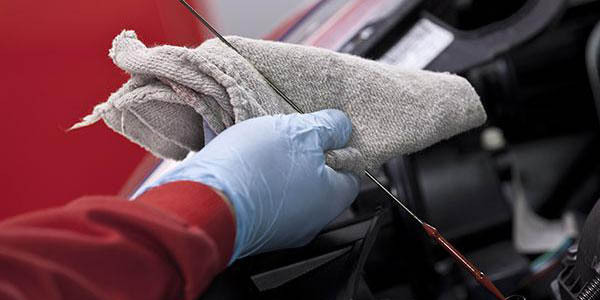 Repairs carried out under the Paintwork Warranty must be entrusted to an authorised CITROËN Dealer. 5. In the case of a change of ownership, subsequent owners will benefit from the remaining part of the warranty (three years) from the date entered on the Warranty Certificate, provided that each previous owner has followed the above conditions. (a) Take your vehicle to the Dealer from whom it was purchased. (b) Always provide your Dealer with full information regarding the nature of your request and as quickly as possible. Where the request is of a minor nature and the vehicle may be operated safely, the Dealer will arrange an appointment so that you avoid having to be without your vehicle for longer than necessary. (c) Always present the Dealer with this booklet which will provide the required information prior to undertaking a repair. (d) Should you be operating your vehicle away from the locality of the Selling Dealer, work covered by the Warranty will be carried out by any authorised CITROËN Dealer. 2. The Dealership staff are there to add value to your service experience, and are trained and capable of solving your queries and you should take full advantage of the service and facilities offered. 3. If you have a problem, find out who is responsible for dealing with customer needs, as this is the person to whom you should clearly explain your problem. 4. Should your problem fail to be resolved, refer your concern to the General Manager, Managing Director or Dealer Principal of the Dealership. It will be in their interests as much as yours to reach an amicable solution. 5. If you engage in correspondence, supply as much detail as possible and always include your Vehicle Identification Number and relevant details. 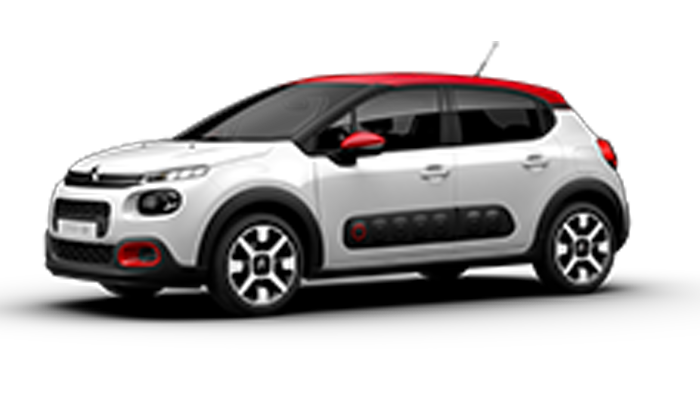 1.Subject to any exclusions contained in the terms and conditions below Automobiles Citroen and Inchcape European Automotive Pty Limited ABN 97 070 000 789 t/as Citroen Automobiles Australia are pleased to provide you with a 36 month (3 year) / 100,000km warranty (whichever occurs first) on all new Citroen commercial vehicles purchased in Australia. 2. Should any part of the vehicle require repair or replacement as a result of a manufacturing or material defect within the manufacturer’s warranty period, the part will be repaired or replaced free of charge by your authorised dealer, regardless of any change of ownership during the period covered. Any part so repaired or replaced will benefit from these arrangements for the balance of the period applicable to the vehicle. Any repair to your vehicle may be carried out using new parts or standard exchange parts at the sole discretion of the manufacturer or authorised dealer. 3. The warranty start date is shown on the Owner and Vehicle Identification page of the warranty booklet. The warranty period is subject to the exclusions and the terms and conditions in this booklet. 4. Under normal circumstances, no responsibility will be accepted where the part has required repair or replacement as a direct result of wear and tear, misuse or neglect, accidents, fire, theft, racing or rallying, fitting of non-genuine parts and alterations to vehicle specifications without the manufacturer’s consent. 5. Please note that work carried out under the contractual warranty does not extend the warranty. In particular, the replacement of a part during work carried out within the warranty period does not extend the part’s warranty. The contractual warranty that covers the replaced part expires on the date of expiry of the vehicle’s warranty. Parts replaced under the contractual warranty become the property of the vehicle manufacturer. 6. The Citroen Warranty is in addition to the rights and remedies that consumers may have under the Competition and Consumer Act 2010 and other applicable Commonwealth, State and Territory legislation. The warranty does not affect those guaranties, rights or remedies, except to the extent that their application may lawfully be excluded or limited. 7. All other warranties are hereby expressly negated and excluded. Citroen vehicles are guaranteed by the manufacturer against perforation of the bodywork due to rust-through corrosion of the body panels from the inside of box sections that are not accessible from the exterior. This Anti-Corrosion Warranty is valid from the date of supply, delivery or registration (whichever occurs first) entered on the Warranty Certificate supplied with the vehicle, for a period of five years for commercial vehicles. (a) The owner presents the vehicle to an authorised Citroen Dealer for the specified anti-corrosion maintenance checks at the intervals outlined in the “Anti-Corrosion Check Record” section of the warranty booklet. Please refer to your authorised Citroen Dealer for detailed Information regarding these checks. (b) The owner has reported any corrosion perforation to an authorised Citroen Dealer within 30 days of it becoming visible. (c) Any necessary rectification work found by an authorised Citroen Dealer during a regular maintenance inspection has been carried out strictly in accordance with the manufacturer’s recommendations within two months of the date of inspection. 2. Repairs carried out under the Anti-Corrosion Warranty must be entrusted to an authorised Citroen Dealer. Citroen vehicles are guaranteed by the manufacturer against any defect in the original paintwork for a period of three years from the date of supply, delivery or registration (whichever occurs first), as entered on the Warranty Certificate supplied with the vehicle. 1. The Paintwork Warranty covers the total or partial rework of the paintwork, which in the opinion of the manufacturer or their representatives, is defective according to the manufacturer's standards. 4. Repairs carried out under the Paintwork Warranty must be entrusted to an authorised Citroen Dealer. (d) Should you be operating your vehicle away from the locality of the Selling Dealer, work covered by the Warranty will be carried out by any authorised Citroen Dealer.